"Strings in the Schools" (now "Symphony Youth Strings") Fall Concert, Dec. 9, 2010 - All levels performing together. Symphony Youth Strings (formerly Strings in the Schools), Carson City Symphony's comprehensive program of string instruction, inspired by the teachings of Kato Havas, creator and author of The New Approach to Violin Playing, provides free beginning violin lessons for students grades 2-5 and ensemble/orchestra experience for all interested string students in the Carson City School District. Tuition and books are subsidized by the Carson City Symphony Association. The instruction is guided by Sue Jesch, Carson City Symphony's Education Director and former Concertmaster, who is assisted by Laura Gibson, Carson City Symphony Associate Concertmaster, and Lou Groffman, principal cellist of the Symphony. Enrollment is limited and is on a first come, first served basis. Pre-registration is strongly encouraged. Some scholarships are available for instruments. Please do not rent or purchase an instrument until after the first class. To register, call Sue Jesch at 775-450-5584. 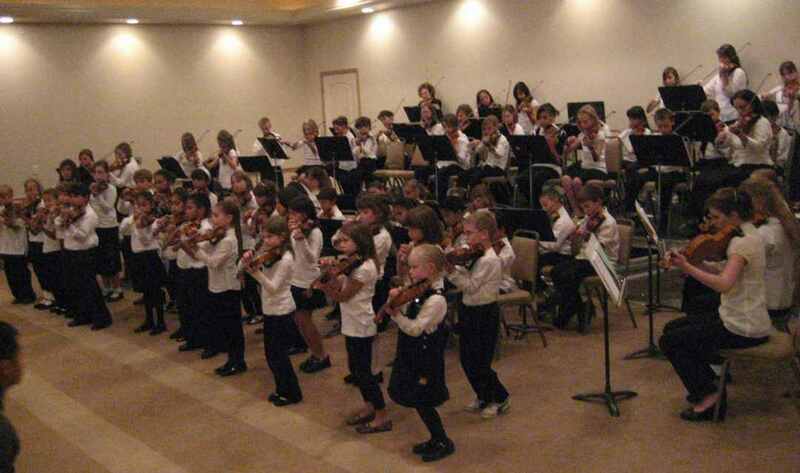 Carson City Symphony's after-school, tuition-free program began in 2004. It is open to public-, private-, and home-school students, classes meet at Bordewich-Bray Elementary, Empire Elementary, and Carson Mall during the school year. Cello classes meet at other school locations on a yearly rotating basis. In-school orchestra classes, an outgrowth of the Symphony Youth Strings program and now part of the in-school instruction, meet daily during the school day at Carson Middle and Eagle Valley Middle Schools, and at Carson High School. Instruction is by Carson City School System string teacher Brian Fox, who is the Carson City Symphony Concertmaster. 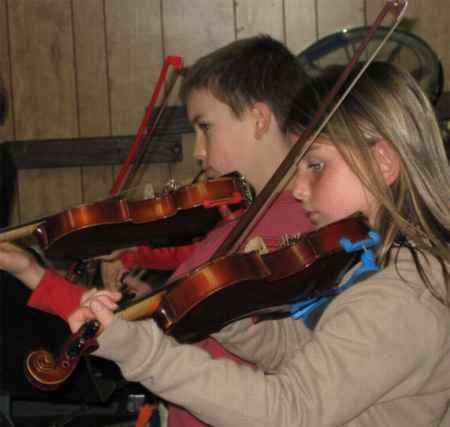 Strings in the Summer, a six-week program, meets Mondays, Wednesdays, and Thursdays during the summer. It is a program for string players of all ages. Topics include "Introduction to Fiddle and Folk Music" (Mondays), "Fiddlin' Fun" (Wednesdays), and "String Ensemble" (Thursdays). Each class features at least one new tune. Carson City Symphony's youth programs are funded in part by grants from the Nevada Arts Council and the National Endowment for the Arts, the D'Addario Foundation, and private donations. Carson City Symphony guest soloist Andrew Sords, on left, listening and critiquing one of our young students. 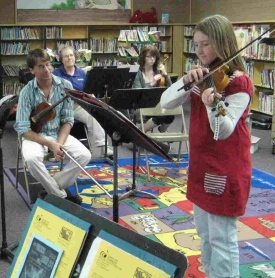 Many of Carson City Symphony's guest artists do outreach activities in the schools. 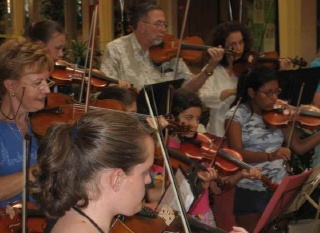 As seen from this photo from a Strings in the Summer 2007 performance in the Carson Mall, the program is a multigenerational endeavor. Adults participate along with the young musicians. These "mentors" help convey the message that music is not just an activity for the young. Rather, it is a life-long pursuit. Symphony Youth Strings, through its affiliation with the Carson City Symphony Assoc., is a member of For information click here. STRAZZ, the advanced jazz and fiddle ensemble, performed for the Nevada Governor's Arts Award Ceremony in Carson City on March 2, 2011, at which Sue Jesch was honored for her leadership in Arts Education. To see the video on YouTube, go to http://www.youtube.com/watch?v=b5pFMX0Xysw. STRAZZ has performed for the "Jazz & Beyond: Carson City Music Festival" in 2013 and a number of previous years. They also performed for the Nevada Public Works Association Conference dinner on Sept. 26, 2013, at Harrah's Lake Tahoe.